I love taking photos down by the Riverside in Parkville, it is the perfect spot for family photography. It is so nice to get outdoors this spring to enjoy the gorgeous weather we have been having. We have been cooped up indoors too long! I love my studio for little people. The lighting is perfection and I can always keep it the perfect temperature but I actually prefer to shoot families outdoors once the kiddos are past the newborn stage. Natural family moments and interactions just become part of my captures. Kisses and hugs. Laughs and holding hands. Skipping and laughing. When your littlest baby is 6-7 months old, this is the perfect time to have an outdoor family session! Just as soon as they are sitting up on their own, give me a ring and we will get your session on the books. That first year goes by so quickly. Mom and dads take tons of pictures during that time but they need to be in images are well to captures those memories! They are only young once. Heck, WE are only young once. This family went with teal and royal blue for their clothing. You really can’t go wrong wearing bright colors outdoors! The blues really made the children’s eyes pop! This was the most lovely family. I am so glad that we created some wonderful images for them, I know they didn’t have the best experience at one of the “chains” last time. What adorable and happy children. 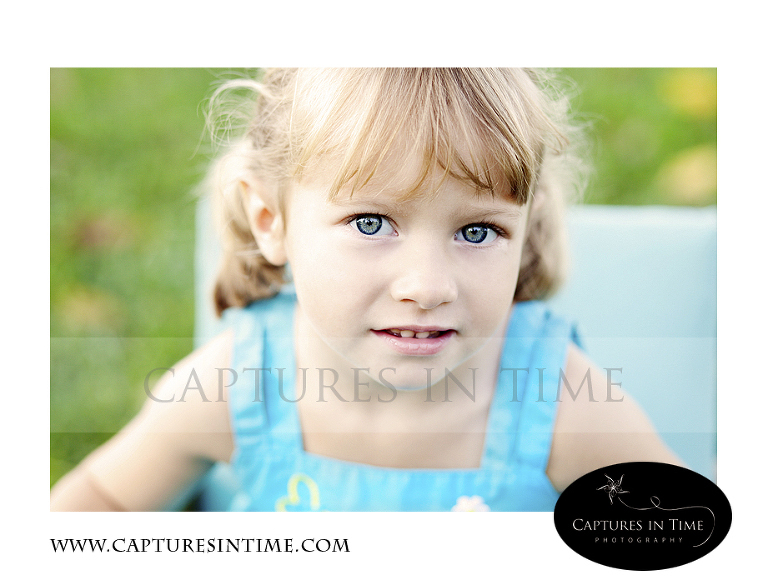 Thank you so much for choosing Captures in Time Photography! Interested in booking your own session for your family? See our booking page and give me a ring if you have any questions!